Silver Spring, Md. (Tuesday, June 19, 2018) – The accelerated advancement of technologies like 3-D printing, robotics and artificial intelligence welcomes a new realm of career possibilities in manufacturing for K-12 students. 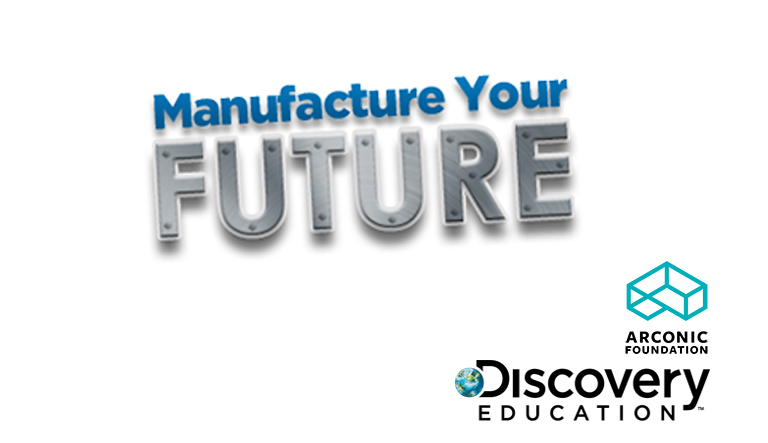 Discovery Education, the leading provider of digital content and professional development for K-12 classrooms and Arconic Foundation, the independently endowed philanthropic arm of Arconic, announced today the first-ever Manufacture Your Future Teacher Challenge. The program calls upon educators to inspire students in grades 3-12 to take the first step toward exploring and pursuing modern manufacturing careers. Teachers working alone or in teams will create a video pitch and a written proposal for an in-school experience that will bring manufacturing careers to life for their students, and support them in exploring different career pathways in advanced manufacturing. The winner will receive a $5,000 grant to put the proposal into action at their school. As manufacturing continues evolve and require new skill sets, employers are in need of qualified workers who are passionate about the industry. The Manufacture Your Future Teacher Challenge empowers educators to connect classroom-based STEM lessons to enriched, real-world career experiences so that students have opportunities to gain valuable workplace skills prior to graduation. An explanation of how the students will benefit from the experience, including how it will inspire them to explore different career pathways in advanced manufacturing. In the fourth year of the program, the Arconic Foundation and Discovery Education escalate a collaborative effort to inspire the next generation of manufacturing leaders and innovators by introducing the teacher challenge. Through the Manufacture Your Future partnership, Arconic employees will also guide students through the development of 3D printed parts for commercial and space vehicles during a Virtual Field Trip on October 5 in honor of Manufacturing Day. The Manufacture Your Future Teacher Challenge opens on June 18, 2018 and closes on October 19, 2018. To learn more, visit: manufactureyourfuture.com. For more information about Discovery Education’s digital content and professional development services, visit discoveryeducation.com. Stay connected with Discovery Education on Facebook, Twitter and Instagram @DiscoveryEd.